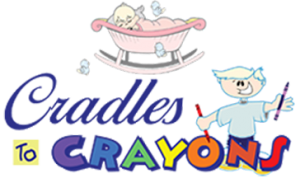 Get a FREE DAY at Cradles to Crayons- click here for a FREE ONE DAY coupon! You Asked. We Listened. Rate Reduction at Cradles to Crayons! We take great pride in providing the area’s best child care and early education experience, in a Christian environment. Since our mission is to create a positive environment for as many children as possible, we frequently ask parents and visitors what we can do to make our programs more accessible. Recently we consistently heard, “please lower your rates – we’d love to bring our child to Cradles To Crayons if it cost a little less.” Good news – we listened and have lowered our rates in all age groups! Please share this with parents you know and let them know about the great opportunities at Cradles To Crayons in Vero Beach! is FREE from 8:30am to 2pm! Our VPK program (at Cradles to Crayons) is now free from 8:30am to 2 pm for VPK program participants for the 2018-2019 school year plus breakfast and lunch is included at no additional cost! We are committed to helping children learn and grow and believe the extra hours each day better prepare them to enter kindergarten. Of course we still provide our "wrap-around" hours for those who need additional care for their children before 8:30 am and/or after 2 pm. Learn more about the VPK program in Indian River County, here. You can register for VPK here. 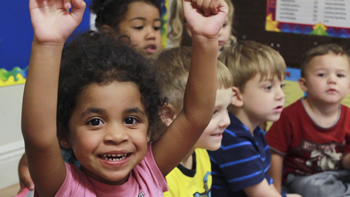 Welcome to Cradles To Crayons, where learning is fun! 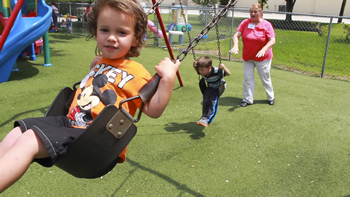 Cradles To Crayons preschool began in a house tucked into a lovely residential area in Vero Beach. In 2005, a huge addition was added expanding the program to provide six additional classrooms. It became a part of the Kids Depot Preschool Academies family of schools in 2008 and became an Early Childhood Program. Even though we have grown to a larger school, Cradles To Crayons preschool has maintained the warm and home-like environment from its earlier day and provides a fantastic environment in Vero Beach. We were exclusively selected by the Early Learning Coalition as the recipient of a grant from the Indian River Community Foundation as a Mentor School. We have formed a special partnership with Big Brothers – Big Sisters and the Early Learning Coalition to deliver to our three year old, four year old and VPK students mentors who provide enrichment during the preschool morning portion of the program in the areas of literacy, math and science, building a lifetime love for learning. Our children have flourished and our parents have been very pleased with the extra attention and growth they have seen as a result of their child being part of the Mentor School. We are an APPLE accredited program and hold the Gold Seal Quality of Care, the highest quality rating issued by the Florida Department of Children and Families. 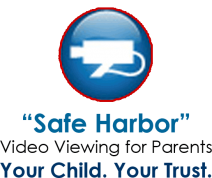 From our clean, bright classrooms—to our Safe Harbor web-based video viewing system for parents—to our beautiful, shady Perma-Grass playground, we are all about bringing the best "trends in education" to your child and family. At Cradles To Crayons children enjoy the excitement of learning while making friends and special childhood memories, all in a wholesome setting. We invite you to visit our Vero Beach, Florida preschool and discover Cradles to Crayons for yourself. To put it simply, we are passionate about your child! We know that a love of learning is caught rather than taught. The interactions with our students foster academic support, discovery of individual gifts and respect for one another, assuring a great start in life. We are committed to educational goals of excellence. Our “whole child” focus ensures each child is encouraged and nurtured to grow socially, physically, academically and spiritually. Through a warm secure environment, each child gains confidence and self-respect, forming close bonds with adults and peers. We utilize a multi-sensory, integrated curriculum as a framework, and provide state-of-the-art classrooms and playgrounds rich in literacy and discovery opportunities. We look forward to introducing your child to a lifetime of learning. We are an experienced, professional group of Early Education Providers and a Proud Partner of the Kids Depot Preschool Academies family of schools, an affiliation of eight early childhood programs, all of which are nationally and fully accredited early learning programs. Many of us hold Associate or Bachelor Degrees or the nationally recognized CDA Credential. We are CPR and First Aid Certified, closely screened by the Department of Children and Families, and regularly participate in continuing education. Sign up to get school news and updates delivered to your inbox each month. 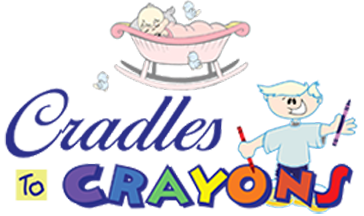 Cradles to Crayons Preschool provides an early childhood learning program serving families in Vero Beach, Florida. We provide an age-appropriate academic curriculum and a trained staff committed to educational goals of excellence.